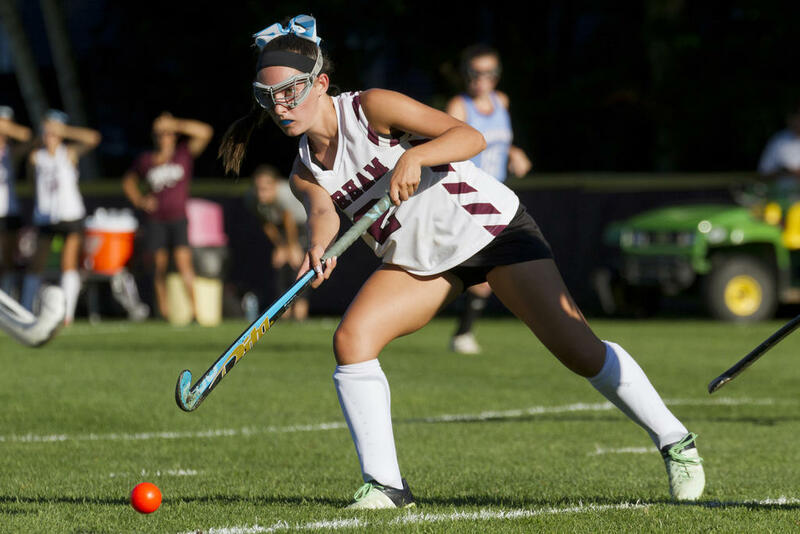 GORHAM—Haley Lowell batted home two of the Rams’ four goals in a shutout victory of visiting Windham on Thursday afternoon, Sept. 13. Gorham dominated much the attack – especially in the uphill minutes – and Lowell notched a goal in each half en route to the W.
Gorham wasted little time getting on the board: Hailey Morrill posted the team’s first just under two minutes in, assisted by Faith Dillon. Lowell notched the first of her two just last the midway mark of the opening half, unassisted. Nine minutes later—with five remaining before the break – Molly Murray made it 3-0 Rams on an assist by Lydia Gaudreau. Gorham continued to apply pressure in the downhill half. The Rams picked up a couple corner opportunities early in the stretch, but couldn’t capitalize as they had at the start of the outing. Windham vaulted onto the attack around the 24:00, earning a corner of their own. They couldn’t convert on the chance, though, and despite pinning the ball in Gorham’s end for the next three minutes, came away empty-handed. In general, even when Eagles managed press the attack, they couldn’t generate many top-caliber opportunities. Lowell capped the day’s scoring at 16:35, shouldering her way up the right-middle of the Windham zone, ducking around a dogged defender and flipping a little ball just inside the near Eagles post for the 4-0 result. The win bumps eighth-ranked Gorham to 4-1. The Rams dropped their season-opener 2-1 at home to Marshwood (sixth at 3-2), but then topped Deering (15th at 0-5) 4-2, Noble (14th, 1-5) 2-0 and Bonny Eagle (eighth, 2-4) 3-2. The team travels to Cheverus (10th, 2-3) on Saturday, Sept. 15; they host Kennebunk (ninth, 3-2) on Monday the 17th, then visit Massabesic (11th, 2-3) two days later. The 12th-place Eagles, meanwhile, slip on the result to 2-3. Windham fell 4-0 to Falmouth (fourth, 4-1-1) at the start of the season, and later suffered a 6-0 loss to Biddeford (second, 6-0). They’ve also, though, earned hard-fought, 1-0 triumphs over Massabesic and South Portland (17th, 0-6). The squad travels to Thornton (seventh, 4-2) on Monday the 17th and hosts Sanford (13th, 2-3) on Wednesday. Carissa O’Donnell battles for the Eagles. Anna Rathbun dumps a ball inward from the sideline in Gorham’s win over Windham. Sarah Stevens is one of Gorham’s three Captains this season, alongside Isis Adams and Lydia McCrillis. 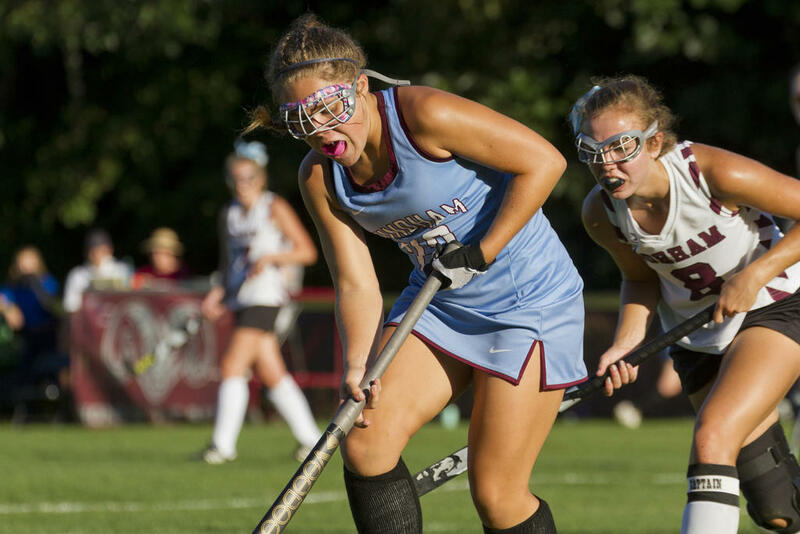 Haley Lowell posted two of Gorham’s four goals on Thursday. Ram Alex Ferrigan charges through Eagles territory. Windhamite Chloe Wilcox vies in her girls’ bout with Gorham. Eagle Lily Beaton swoops forward in her girls’ road loss to Gorham. Molly Murray seeks out a pass opportunity. Gorham’s Faith Dillon battles in a fray on the Windham doorstep. Ram Hailey Morrill blasts the ball ahead in her team’s 4-0 victory over the Eagles. Windham’s Carlee Richmond chases the action in a road bout at Gorham on Thursday. Lydia Gaudreau fires forward for the Rams in their win over Windham. Gorhamite Isis Adams battles a Windham opponent for control of the ball.